Taira Masaji Sensei's Okinawa Gojuryu Kenkyukai: so what's happening? New York has been and gone. 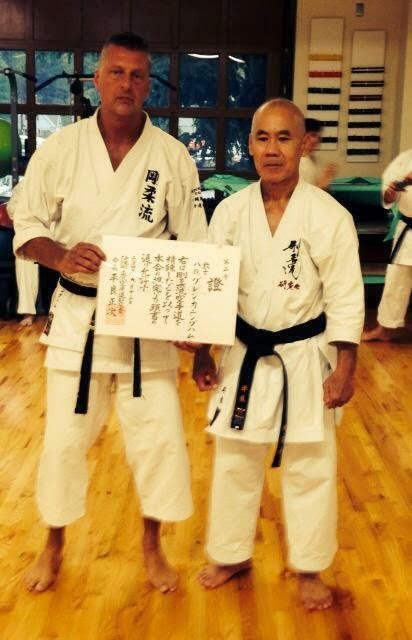 Glenn Cunningham Sensei was promoted to Hachidan (congratulations Glenn). It's a credit to Glenn's training and dedication. He takes his training very seriously, and his students are lucky to have him. 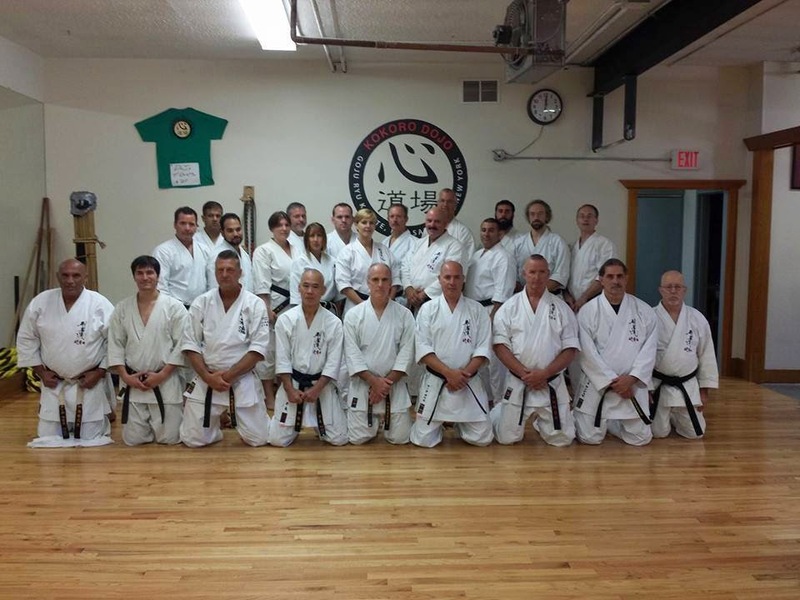 Chuck Nuccio Sensei's seminar went well, with visitors from as far away as Thailand. Cesar Camara Martin travelled a very long way to get there, and was warmly welcomed, and awarded his Shibu certificate. Congratulations to Cesar! He travels a lot to train with us. As you can see from the photo there were good numbers - enough to get a great group dynamic but not enough to be swamped. Most of those attending have trained with Taira Sensei before so it was a good opportunity to work beyond the basics, while never forgetting the importance of basics. And... a reminder that NZ is coming up, and maybe even India. And a new look for the blog and a Joining page. Still learning my way around Blogger.